UnitedHealth Group (NYSE:UNH), the largest health insurer in the U.S., operates two primary businesses – UnitedHealthcare and Optum. UnitedHealthcare includes the company’s private health insurance, Medicaid, and Medicare segments, while the Optum division covers services such as pharmacy benefits management (PBM) and health care services. In this note, we take a look at the high-growth Optum business and its growth trajectory going forward. Optum has been the primary growth driver for UnitedHealth in the last few years, and it has continued to drive results in 2017 as well. In the first nine months of 2017, Optum earnings grew about 17% year-over-year (y-o-y) to $3.4 billion, driven by growth across all three sub-segments- OptumHealth, OptumInsight, and OptumRx. 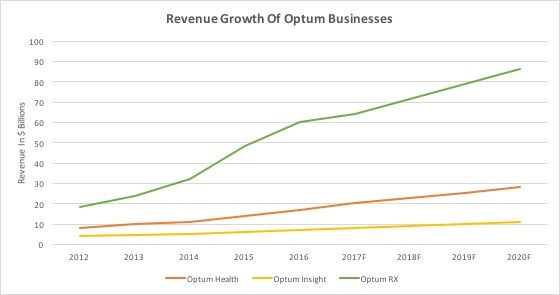 OptumRx, the company’s pharmacy benefits management (PBM) business, is the largest Optum subdivision, accounting for nearly 70% of total Optum revenues. On the other hand, OptumHealth was the primary growth driver this year, as its revenues and earnings grew by 22% and 26%, respectively, in the first nine months of this year. UnitedHealth’s Optum revenue growth has been driven by an expanding customer base, and complemented by acquisitions. The customer base growth was driven by the integration of Optum businesses with UnitedHealth’s other business lines. The implementation of the PPACA led to a rapid rise in the number of people with health insurance. UnitedHealth’s leading market presence allowed it to benefit from this surge in market size, though the company has since dropped out of many PPACA marketplaces. Additionally, this growth in coverage is also driving growth in the number of prescriptions filled in the United States, while UNH’s market leadership in the Medicare market is likely to offset competition. Accordingly, we expect UnitedHealth’s Optum businesses to continue their strong growth in the coming years. 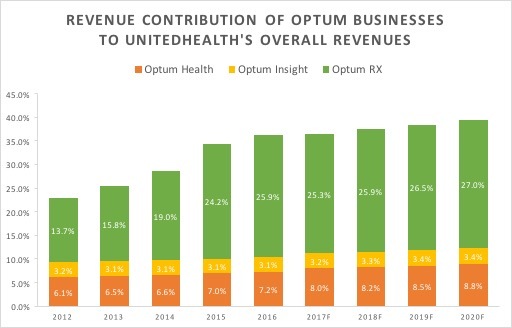 The revenue contribution of Optum to UnitedHealth’s overall revenues was just 23% in 2012, before increasing to 36% in 2016. This increase was primarily driven by OptumRx. 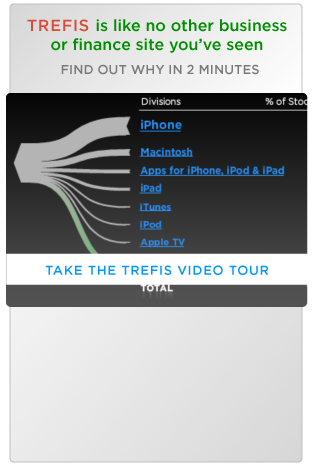 We expect these segments to continue growing in the next few years. We forecast the Optum business to contribute nearly 40% to UnitedHealth’s overall revenues in 2020.